Our new Scandi style side table is perfect for mid-century modern and Scandinavian interiors. It’s ideal for use as lamp stand in a living room, or even a bedside table. 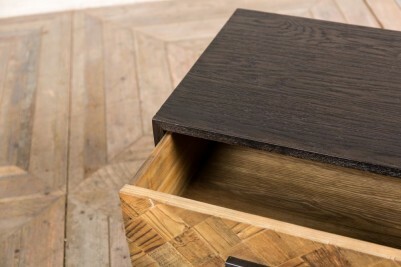 The table is very minimalist, it has dark wooden surfaces and legs, and a blonde wood drawer. 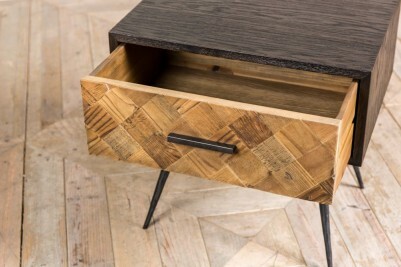 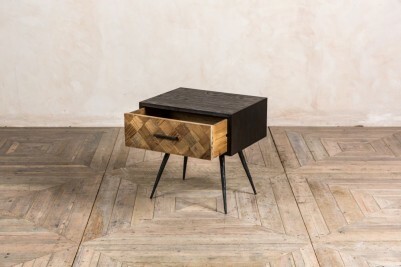 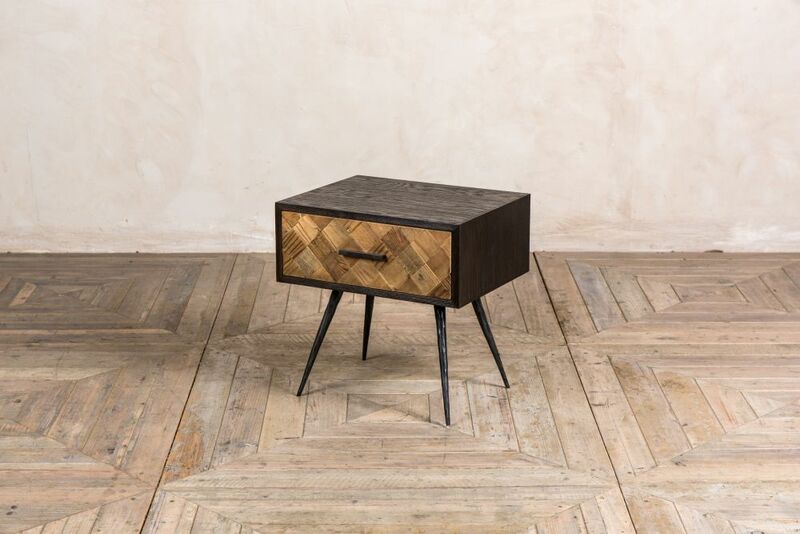 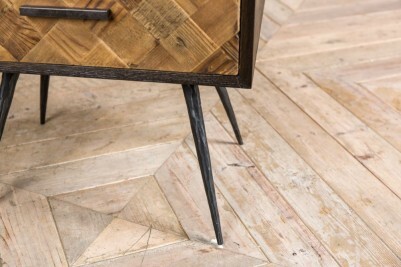 The drawer has a reclaimed wood effect, giving the table vintage character. 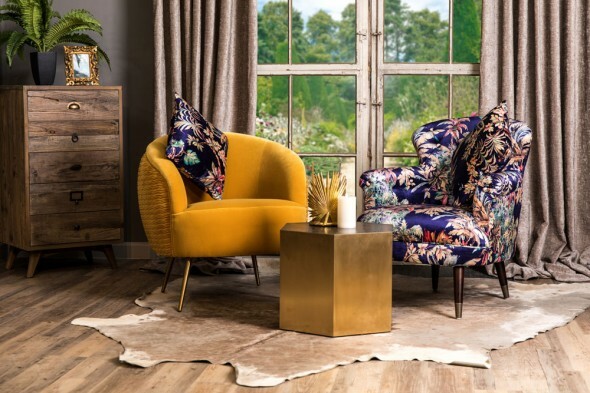 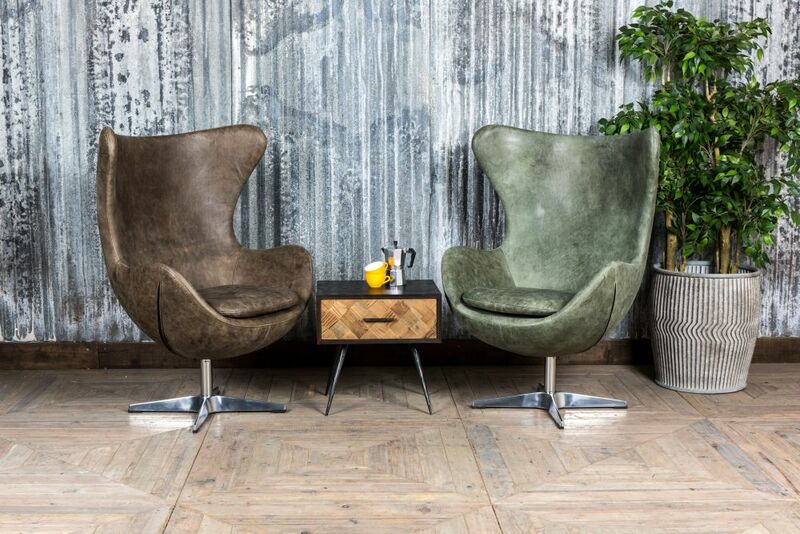 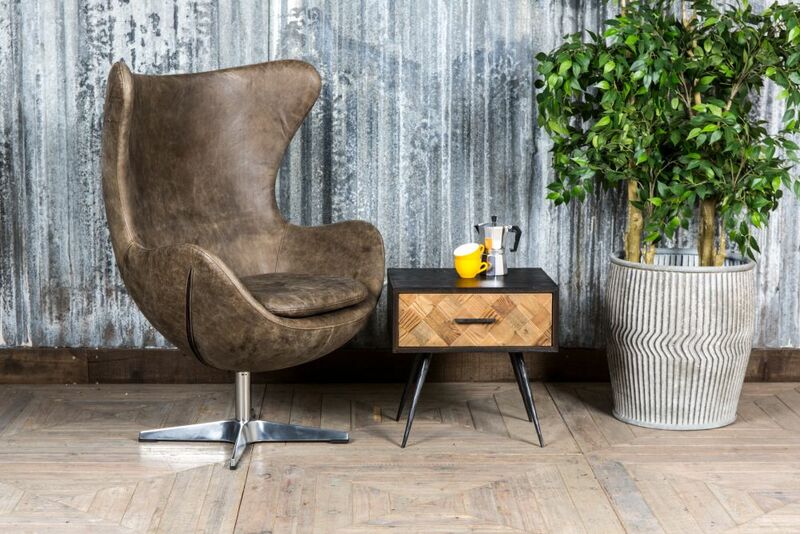 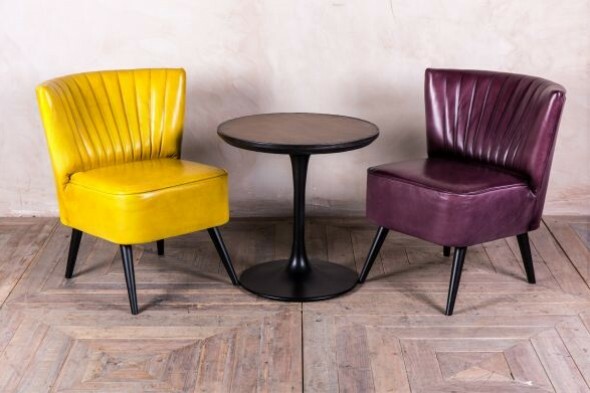 Please note that the egg chair pictured is not included but can be purchased separately.